Gross income and adjusted gross income are measures of taxable income. 1. What Expenses Can I Write Off on My Taxes? When you begin the process of filing your annual tax return, two of the most important pieces of information you are going to need are your gross income and adjusted gross income. Your gross income – also interpreted as the income you generated prior to any expenses you have incurred – is absolutely necessary in order to calculate your adjusted gross income (AGI), a figure which represents your actual income following all additional financial investments you have made and expenses you have incurred. Taking the time to calculate your AGI will ensure that your tax bill takes into account all of the income you have used to sustain your employment. Your gross income refers to all your pre-tax earnings for the year, while your adjusted gross income is often lower and refers to your income after allowed tax deductions. Your gross income can commonly be defined as all of the income you received in a year before any tax deductions and other professional expenses have been taken into account. If you run your own business, your gross income represents all of the income you have received minus any business expenses. Before you are able to compute your AGI, you must first gain an accurate understanding of your gross income. Your AGI will almost always be lower than your gross income. The reason for this is as follows: the IRS provides ample opportunities to deduct income from your AGI which will ensure that your lifestyle and financial status is accurately reflected in the income data reported to them. More specifically, the deductions which the IRS allows you to subtract from your gross income are often referred to as "adjustments" to your income level. Although tax law changes on a nearly annual basis, you can find the most up-to-date list of deductions and personal income exemptions on the IRS website. These deductions and exemptions will include detailed explanations on precisely how they can be implemented in order to calculate an accurate AGI. If you are self-employed, your AGI is a critical component of your annual financial planning. Entrepreneurs, freelancers and other self-employed individuals can deduct a wide array of business-related exemptions from their AGI, which can serve to dramatically reduce their annual tax obligation. It is also important to note that some of the deductions you can claim for your AGI aren't necessarily expenses. For example, contributions to your IRA can also reduce your overall AGI and ensure that you pay less tax. 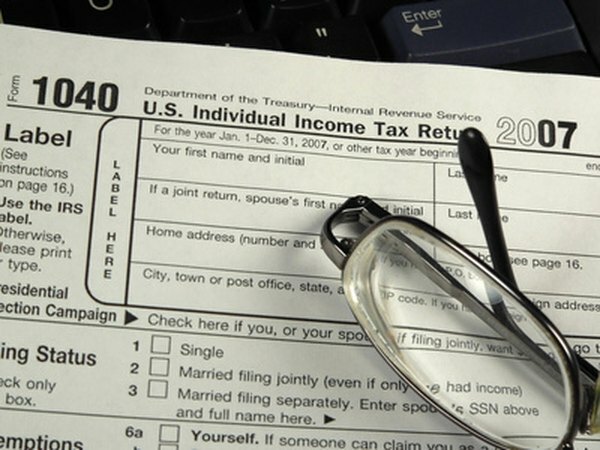 These nuanced details are one of many reasons why it is so critical to take ample time in order to research all available deductions. Not only does your AGI influence your specific tax bracket placement, but it can also significantly impact your classification for state income tax obligations. It is also important to remember that your specific AGI status may qualify or disqualify you for various other deductions and exemptions. With that in mind, it is strongly recommended that you spend all of the time you need to properly evaluate your AGI, especially if you are planning on filing your own taxes without enlisting the help of a CPA.